A morning at my garden. These days, with rain god being so generous, I am spending more time watching the plants than watering them. Their foliage looks lush and clean which only a good pour can achieve. Watching your plants in the early morning in a beautiful weather is such a pleasure that one shouldn’t miss. This is one side of my garden. Like this I have 2 more.It is 2 feet wide and has just enough space for a person to stand when the pots are kept. Though its not very convenient tending to the plants in this space.It is really very productive. There is too much sunlight to waste. The plants you see above are tomatoes, pepper ( at the far end) and a Rose (A scented variety. No I am not a fan but my mom is!) . 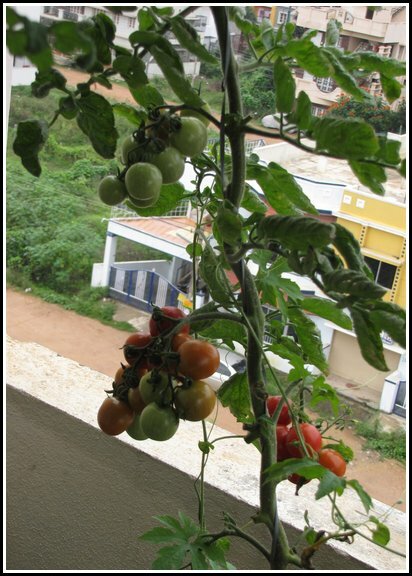 In my old post, I had mentioned about my maid who got many tomato seedlings and had me plant all of them. These are those seedlings. Surprisingly each plant is of a different variety. Tomato with a tipped blossom end. 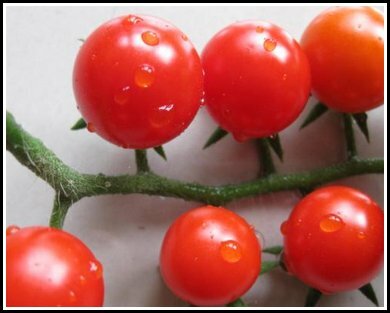 All the tomatoes of this plant look like this like a top. Then there is my favourite tomato plant. It has grown almost 10 feet tall. I regularly prune this plant and do proper staking. It is a prompt yielder and has trusses all the way upto the roof. 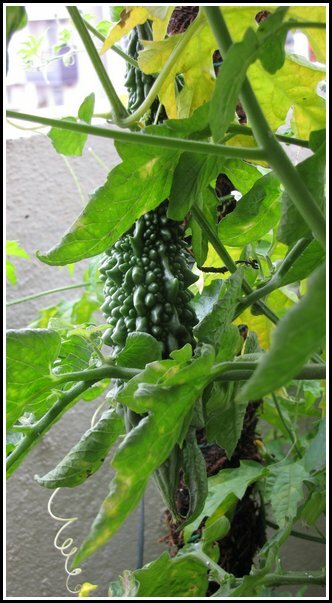 The vine that is seen clinging on the tomato is bitter gourd. Here is a pic. It looks sweet though ;). 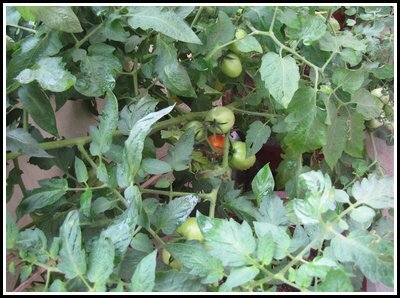 Here is a tomato plant which is in its pink. Introducing Podland Pink! 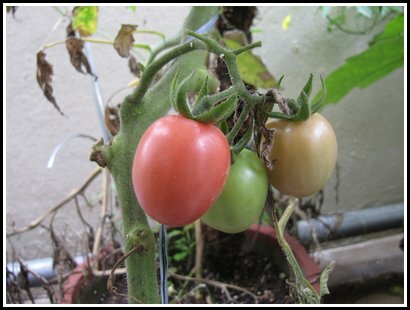 A pink colored plum tomato. The pink color looks a lot like red in picture but in reality it is a beautiful pink. The red cherry next to it will help you identify the pink. Here is bean and a brinjal. Wish I could post all the pics of my garden. 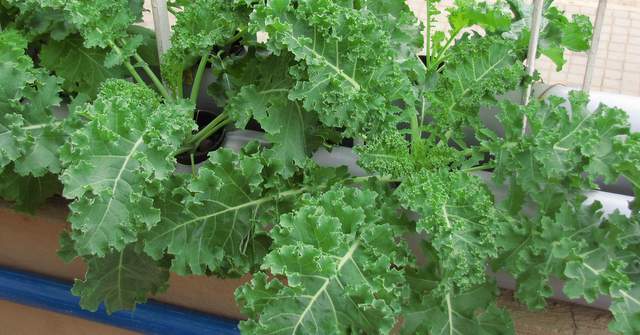 I will post about the container cabbage experience/learning and some seed starting stories in my next post. Per sq.ft production seems to be awesome! Is the Podland Pink a short variety ? How do you stalk the 10-feet one ? Tie it to the wall ? Thanks, In fact, every square feet of terrace I have is producing something. The podland Pink is tall indeterminate kind. In a small polythene bag it has grown to 5+ feet. Could you believe that?. The word staking is little misleading. For plants that tall. I use a string(a think one) and train the plant around it. THe string is from the bottom of the plant and goes all the way up to the top of the roof. Hi GG, It is wonderful to watch your gardening endeavors. 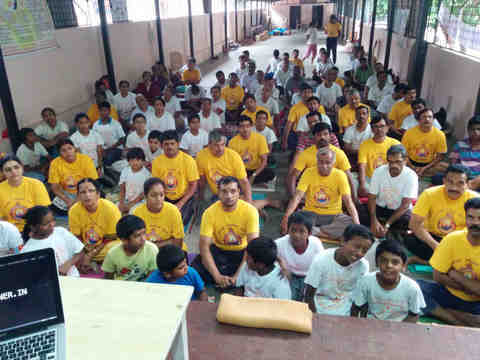 I have been following your blog since many months. They are great and highly inspiring! 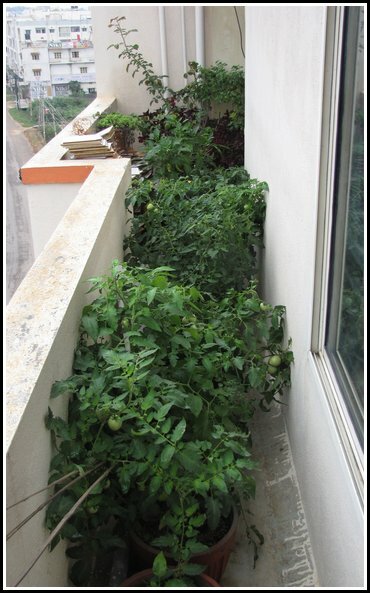 I have started with quite a few medicinal plants/herbs and also few flower plants on my terrace. 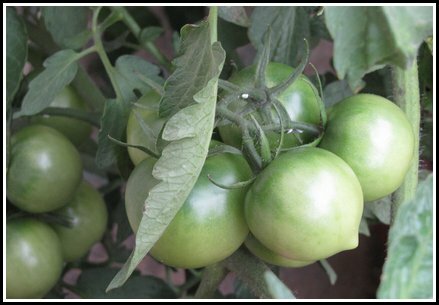 Recently, I also have started with seedling of couple of vegetables like tomato and bell pepper. I need some inputs from you regarding maintenance of these plants in the long run. Primarily I would like to know how often we need to add manure or do we need to repot periodically? I am looking for preventive maintenance as corrective mode may sometimes affect the plant health and life. 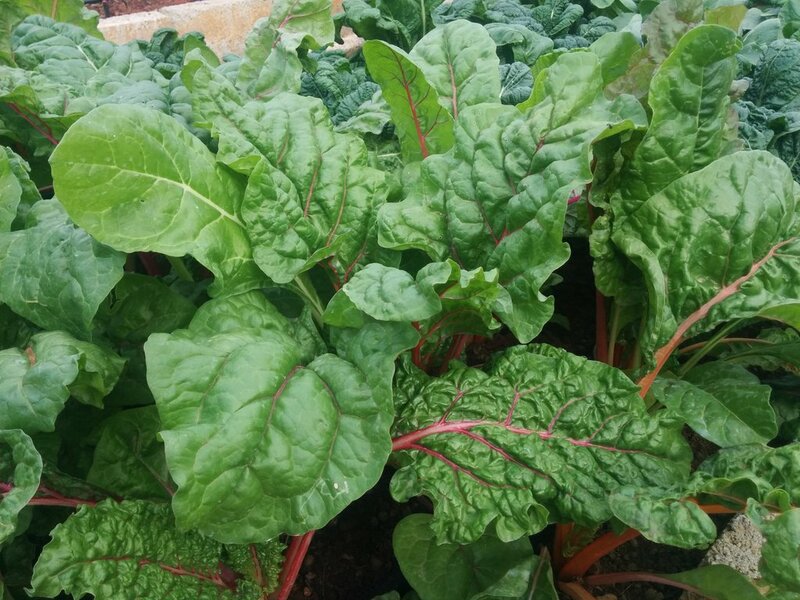 Do you use any liquid compost for your plants? I think that may help us in delaying of repotting and also we may not be able to add manure in existing plants. I would like to use organic manures and pesticides only. What i feel is, if more people can follow in your footsteps and start a terrace garden, world would be such a nicer place to live in. You are doing going. Happy Gardening!! 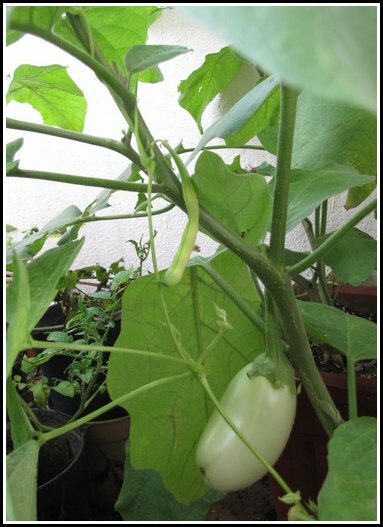 Hi GG, your terrace veg garden looks amazing and this post of yours truly shows how little space is needed to grow sufficient veggies so as to sustain a small family!! 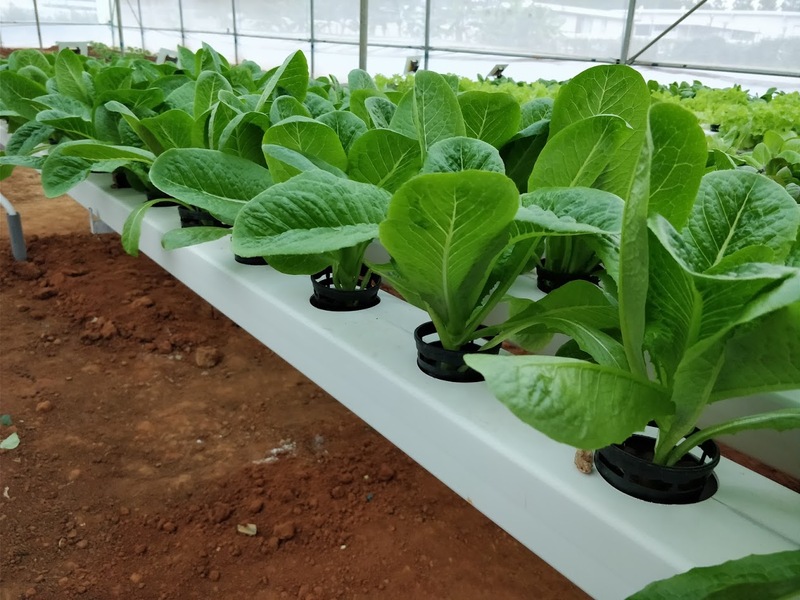 If all homes start growing food like this, many a problems pertaining to food shortage and rising prices can be dealt with. Its just a question of mindset which needs to be changed and your blog has made a nice effort in that direction. Hats off !! Podland Pink! I was given this variety several years ago to adpot when I joined The Kokopelli Association (in France). I could not find ANY reference to it anywhere. I grew it out, saved seeds, and am now in the 4th generation. 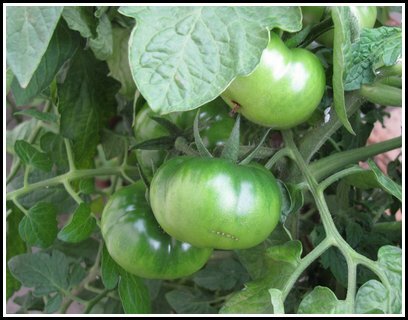 The Podland Pink tomato is a beautiful color, starting out green, turning white, then an amazing opaque pink color. It’s very meaty, but the flavor is mediocre. The plant is indeterminate, and produces very well, in clusters. 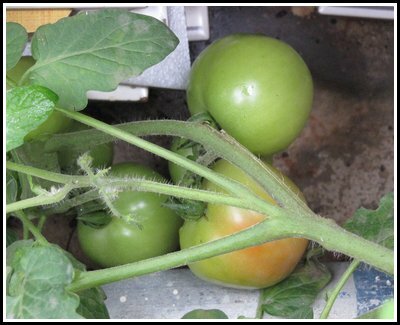 I am happy to know that someone else is growing this tomato – halfway around the world from me! I am located in southeast Florida, about 30 miles south of Miami, in the USA. I agree with you Margie, there are very few references to it on the web. Adding to your surprise, I got the seeds from Dept Of horticulture..who got the seeds from Annadana Seed savers who got the seeds from Kokopelli Association (France). The pink is so attractive that any one who sees that in my garden takes few seeds from me. Yeah the flavor is very great but its color eclipses it. I am happy too to hear you are in the 4th generation. It is people like you preserve these excellent heirloom varieties. Great Work!. That’s a wonderful story and really makes the world feel such a small place. Recently i too had planted few seeds of Poland Pink (Seeds from DoH again!). I got very few harvest from it though, probably because i was experimenting growing it in shade. Anyways, am not losing heart. I’ll try again. Our podland pink is ripe now, very different color indeed! Yes it is. It is eye catching and any one who saw it first time always wanted couple of them to show it to their family :D.. Thanks! . My next post is on radishes. I love seeing your tomatoes growing so well. I always complaint about the lack of space in my garden and thus not able to grow vegetables. 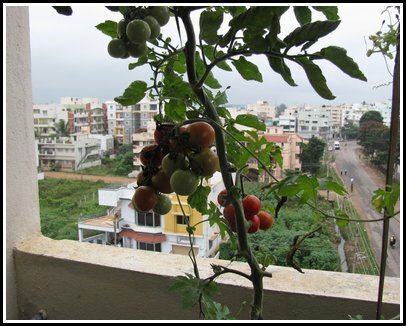 But seeing your tomatoes growing so abundantly in your terrace garden, then I have no reason not to try growing tomatoes in my garden. I failed twice and have given up on planting tomatoes as they were attacked by mealy bugs. Probably it’s time to try the 3rd time. Thanks for sharing your garden here and inspiring me not to give up! Don’t give up growing because of crop failures. Everytime something fails, it is an opportunity to see why it failed. At the end, you will know more than the one that succeeded the first time. Wishing you good luck growing tomatoes this time. I am so much interested in growing Bok Choy , Cabbage etc. 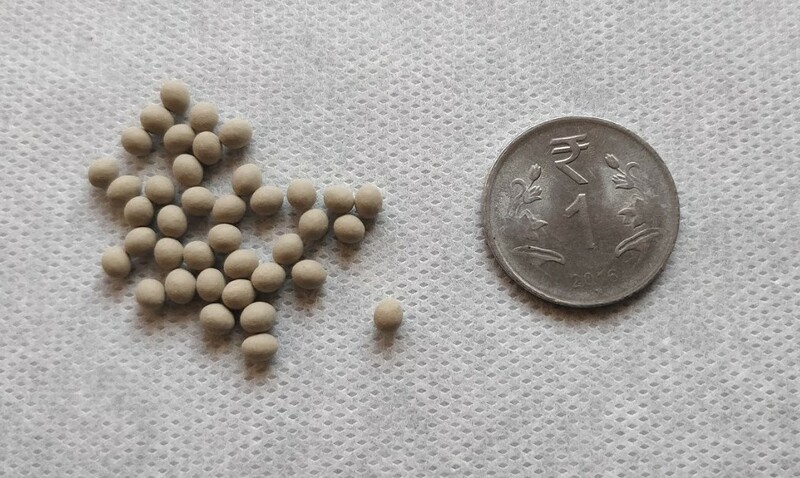 Kindly tell me where I CAN BUY THE SEEDS ?? It was so nice of u to posts all the pics of ur garden. Its just amazing. At my mother’s home in Nagpur we had 5 mango trees, all of best quality. As Im living in Pune, in a flat, I also want to grow a kitchen garden like ur’s. Pls guide me from where to get the seeds and what to sow and when to sow. Great garden.Best thing is spending time with this plants. even though the plant has grown well with plenty of flowers. Once a week I feed it a little fish water but it still does not help. The summer here in mumbai was particularly hot, so most of my flowers fell off and now with the rains beating down there is still no improvement. This is my second attempt at growing tomatoes in containers.